Before & after of a Sugar Fix patient. If you are at the end of your Invisalign treatment, and are not seeing the results you want, do not panic, most Invisalign treatments come with additional aligners. A refinement is a short series of trays that should help with any teeth that are being stubborn with the first set of trays. At your final appointment after the Invisalign treatment, new impressions are taken to send to Invisalign with the Instructions of which teeth did not move into alignment and need to be improved with refinement trays. 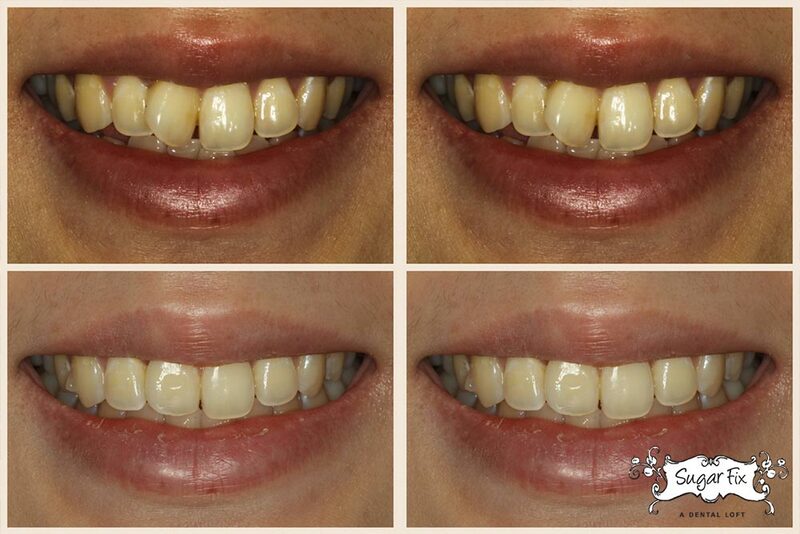 Above is a 25 year old female patient of ours who had 25 trays in her first full treatment. As you can see, her front tooth was severely rotated. In order to move that tooth fully, we did a refinement to perfect the alignment of her teeth. Stay tuned to the blog to see the end results of her refinement.